Thoughts and opinion on brand experiences, experiential marketing and live events from The MotivAction Group's brand and experiential experts team. It’s that time of year again, and as the days begin to get longer and lighter our thoughts start to turn to summer; it's festival announcement time! Most of our favourite festivals, from heavy metal and ultra cool to the wonderfully mad will, over the next few weeks, be strategically adding to their performance line up. In a fiercely competitive, heavily populated and diverse UK market, much is made of these initial announcements. 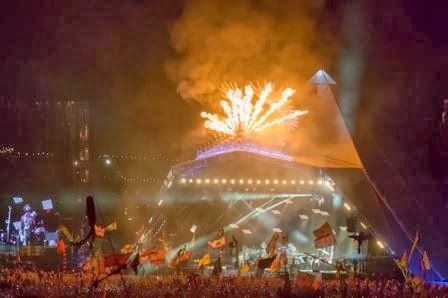 Many of our long standing festivals have a loyal and regular following that are bound to gleefully attend; Glastonbury2014 sold out in record time when tickets went on sale in October last year. Yet this is the period when those unsure on which festival to attend are swayed by the announcements of the headliners. Reportedly there are now over 600 outdoor summer festivals ranging in scale, theme, genre and demographic all taking place within the space of four months! An absolutely astonishing figure for a notoriously unreliable summer such as ours! So just how do you know which tickets to book? 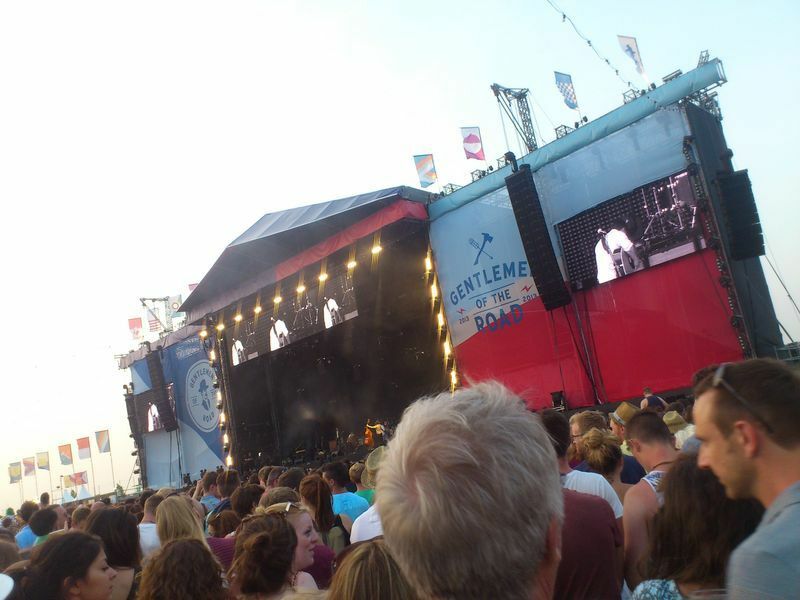 The experience starts from the upcoming, exciting announcements of headlining acts. Then you begin checking the websites – here the battle is won or lost. The website itself must grab your attention, explain the festival in a nutshell and entice you to part with your hard earned cash, all the while embodying everything that the entire festival stands for. Easy right? 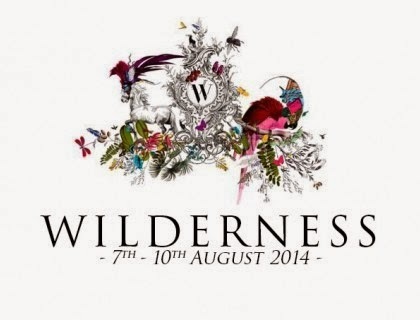 Perhaps one of the finest examples of this is the Wilderness Festival, a uniquely branded experience offering an altogether different festival experience. The next experience is to increase interest and awareness of your event via the mediums of social media, encouraging everyone to ‘join the party’. Again if the content, artwork and information appeals then it’s likely you’ve gained an attendee and brand ambassador for your festival! So which festival headliners have caught your interest so far? Which festival websites capture your imagination?.....And most importantly, have you got your wellies, rain mac and sun cream?! It’s not too late to create your own festival for your employees and guests…in fact we're specialists on the subject! Check out some of our case studies for more information or join the conversation on our blog or Twitter. We look forward to speaking to you! For those of us involved within the creative and promotional industries we all appreciate the power of print and the value in checking grammar, word flow and spellings before a big event. Occasionally slogans can get lost in translation with computers formatted slightly differently, not to mention the less Shakespearean versions of English used throughout the world. But imagine our surprise when we heard about the latest news from multinational electronics company, Samsung at this weeks CES conference in Las Vegas. 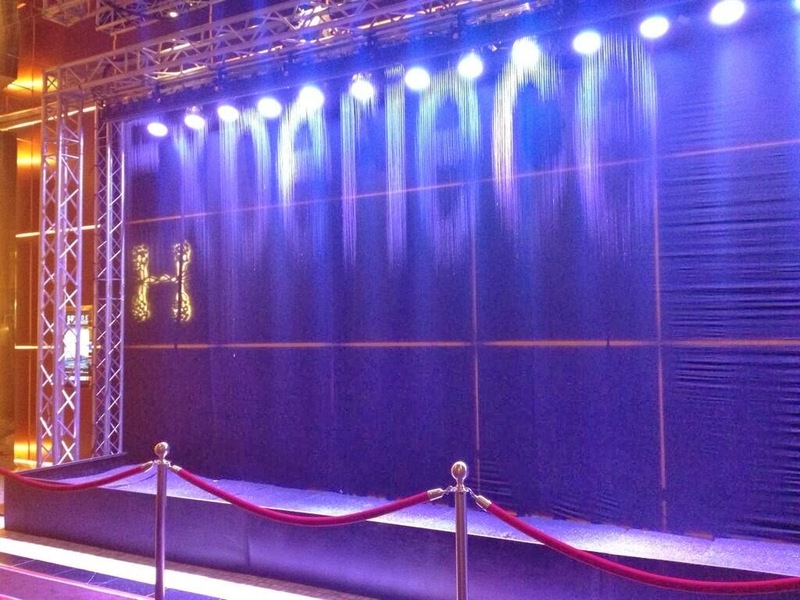 We've all heard about Hollywood Producer Michael Bay leaving the stage during the launch of Samsung’s new curved TV, but the experiential side of the launch revealed a technological rain wall, sadly containing a misspelled ‘Experiece’; an otherwise inspired concept which looked great but sadly also captured the attention of social media. Perceptions of brands have never been formed or altered quicker than they are right now with the accessibility of the internet and social media. Both of these occurrences have gained huge exposure for Samsung, so you could argue that they have received more coverage than they could have dreamt of, albeit not directly about their product but it certainly goes a long way for brand exposure. So is it true that 'there's no such thing as bad publicity’? See previous Blog entries for some of the experiential escapes The MotivAction Group have provided. Remember… join the conversation and let us know your thoughts; follow us on Twitter or like us on Facebook. It’s that time of year again when the nations biggest brands unveil they’re multimillion pound Christmas blockbusters in the hope of sending sales, awareness and social media hits through roof in a bid to rule the media waves. Ads are now purposely released during prime time ad breaks for mass exposure and aimed directly at the social media obsessed demographic. A tactic that has worked so well for John Lewis that its cartoon bear and hare characters now have they’re own twitter accounts with mass followings, see @JohnLewisBear and @JohnLewisHare! And this year's ad has already had twice as many views on You Tube than last year’s snowman ad, doubling the hits to the tune of 9.8 million views so far and dwarfing the theme packed M&S advert in the process. So what are the crucial elements to a successful Christmas marketing campaign? The fresh thinking required for concepts that are both current yet classic whilst still original is a definite must and something we pride ourselves on here at The MotivAction Group. 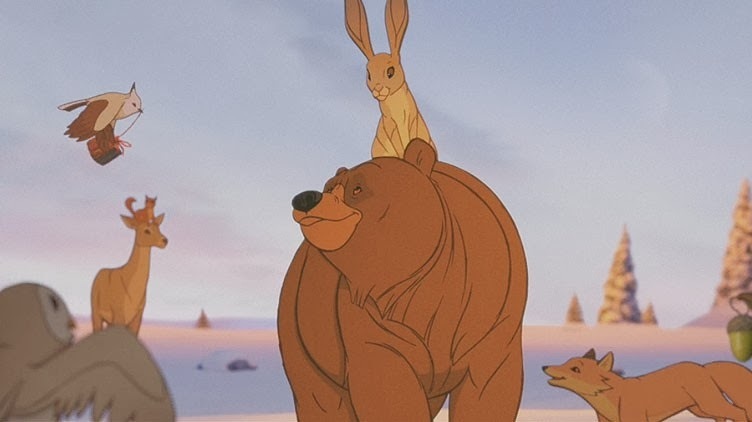 This got us thinking about the many Christmas adverts over the years, Coca Cola, John Lewis, The Famous Grouse, or maybe Ant & Dec are a new Christmas winner.....but which is your favourite? Join us on Twitter to keep up to date with our blogs and discussions or leave a comment below. We'd love to hear from you! Merry Christmas from everyone here at The MotivAction Group! Street art has always caused a stir, dividing the community into those who consider it an unlawful act of vandalism or those who rejoice in the name of arts and culture. Regardless of the on-going Tom and Jerry styled saga, graffiti has worked its way into the events industry with a subtle bang! Street artists often hold the same aspirations as us here at The MotivAction Group, to not only ‘wow’ our clients but to truly engage on an experiential level, taking expectations of what’s deemed 'normal' to the very edges of its understanding. Bristol’s very own mysterious Banksy has been doing this for years, occasionally in the most obscure and even dangerous of locations, forcing the world to look and think a little deeper. Most recently he caused a stir in New York where he sold original canvases incognito for just $60 (£38) when they are said to be worth up to £20,000. See more on this story here. Within the ever developing events Industry a live graffiti demonstration or even digital graffiti wall can add an excellent visual impact to any event, pushing those corporate boundaries and bringing the flavour of a ram shackled, down town 1980's NYC to the conference hall to wow, shock and stir the imagination in the best ways possible. Graffiti Workshops also offer an excellent experiential team building option with hands on and artistic twists. And with Wi-Fi instant streaming capabilities allowing event delegates to share their fantastic experiences via social media, it can cause real ripples throughout the twittersphere adding further value and exposure to the event. 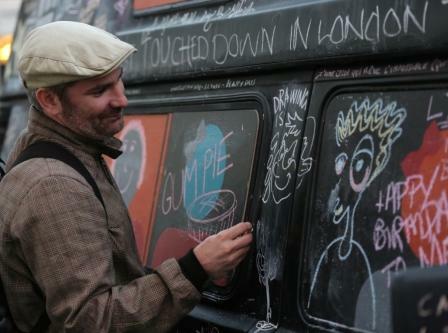 The most exciting and inspiring variation of events industry graffiti fun is served up by the Graffiti Van. Offering events attendees a novel yet fresh way of creating some potential ‘art’ along with plentiful laughs and lasting memories. The contradiction of using an ex-ice cream van as a black board providing an experience that’s both a little naughty and a little nice. So regardless of your personal views on whether the action of using spray paint onto walls is a crime against the eyeballs or innovative opportunist art that allows creativity to thrive in places where it should not, the utilisation into our events can prove a pivotal feature that will keep your attendees singing your praises long after the paint is dry. 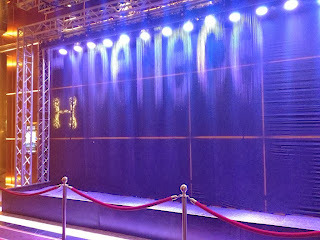 See our previous blog entries for some of the experiential offerings we've found this year! Remember that you can let us know your thoughts by following us Twitter or liking us on Facebook. Our dearest of friends from across the pond have long celebrated the force known across the globe as Halloween with a real American sense of enthusiasm which now appears to be spreading. Here at the Creative Enterprises Hub, along with countless others within our industry, we view this strange celebration of all things dastardly and bizarre as an excellent theming opportunity, or just an excuse for a party. Thorpe Park provides the ultimate ‘Fright Night’ having teamed up with the Scare Group UK to offer attendees not only a terrifyingly lit turn on the parks rollercoaster’s but in every crack and crevice of the park zombies, along with a variety of characters from the Saw movies, lurk with the no other intent than to scare. Genuinely only for those with a high scare threshold, consider this almost a health warning! As ever London offers an array of fright nights from the grizzly to the gruesome, most coming in the shape of The Vaults, a now unused Underground train station filled with mystery, history and tales of another time and another world. These masters of morgue promise a playground for the freak in all of us. 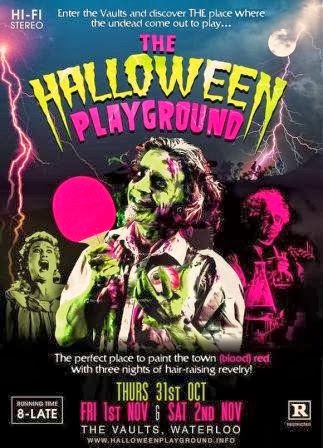 Activities include DJs of the undead, the graveyard cinema, the abandoned end of pier arcade games and crazed capers from the finest twisted cabaret acts. Click here for full listing. The establishment of World Zombie Day only reinforces our developing fascination with all things spooky! The event takes place in over 50 cities worldwide where organized marches of the undead are staged with a meet place and a detailed route for the general public to either join the chaos or hide. This year’s London march started at Marble Arch Tube station and spread right across the capital ending up in a Zombie Ball. This Halloween, rather than being frightfully dismissive or venting annoyance at the fact kids are knocking on the doors for sweeties, perhaps we should start to embrace this celebration, both within the industry and our social lives to fully realise its theming potential. According to the demand for such events and activities, this could be a strong event theme throughout the calendar year. None the less it will prove a ‘freaky’ one to watch over the next few years. See previous Blog entries for some of the experiential escapes The MotivAction Group has provided clients. Remember… let us know your thoughts; follow us on Twitter or like us on Facebook. The next big thing or just a voice in your head? Marketing is evolving at breakneck speed as technology and consumer habits change. Ten years ago mobile was barely on the agenda for many brands; now it’s fast becoming an integral part of any multi-channel strategy. While it’s never simple to judge exactly where the industry is heading every time a new “seismic shift” is on the cards, it will be interesting to see how brands and consumers alike take to an entirely new advertising channel – and whether bone conduction really is here to stay. German company Sky Deutschland plans to use the new technology to broadcast adverts on the nations’ railway network. Bone conduction involves passing vibrations through the consumer’s skull to transmit soundwaves to the fluid-filled chamber in the ear known as the cochlea. From there the information is transmitted to the brain and the subject hears the sound as though it is coming from within their own head. 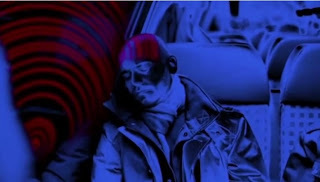 It may sound reminiscent of a futuristic thriller, but bone conduction technology has already been in use for some years, particularly in headphones and some types of hearing aids which are worn behind the ear – which also indicates that even deaf people will be able to hear the adverts being broadcasted. What’s more, talk of Google using the technique in their upcoming Glass unit suggests that it could be set for widespread dissemination in the next few years. It’s certainly a bold new technique for marketers to add to their sizeable toolkits. But plans to employ bone conduction to broadcast adverts to passengers resting their heads against train windows have been proving controversial ever since they were first announced a couple of months ago. According to the Daily Finance, the YouTube video demonstrating the technology had received more than a quarter of a million views in early July, of which seven out of ten had rated the concept with a thumbs down. That’s overwhelmingly negative, and comments going as far as to decry bone conduction advertising as an invasion of privacy are unlikely to be won over in the near future. A number of comments voice their sympathy for commuters who are unable to enjoy a quiet minute of rest after a long and arduous shift. So, what are the chances of bone conduction taking off as a worldwide marketing tool? It isn’t too hard to see why the industry is fascinated with the idea, but it seems consumers will be harder to convince. Still, appealing to passenger’s wallets could make the difference. In the UK, years of fare increases as fuel prices have risen have left commuters facing ever-higher transport costs. It could be that injecting some much-needed revenue from advertising into the country’s rail network is just the ticket for passengers, especially if it prevents another price hike, pushes fares downwards or even pays for more and better services. It remains to be seen whether bone conduction marketing makes its way over to the UK, or indeed whether it is taken up at all. Either way, in the sense that it’s captured our attention and got us talking, it’s already working! It’s all gone ‘Cirque Berserk’! The event theming trend of the year has caravanned its way to an event near you. It’s The Circus Theme! Since its arrival the Circus has fascinated us Brits and as a consequence it’s no wonder that event agencies like The MotivAction Group are re-imagining ways to present everything you can do under a big top. You’ll be pleased to know that you don’t have to spend the sort of budgets that Cirque Du Soleil have at their disposal to create a truly crowd pleasing performance. A fantastic example of this is our local friends that organise the Standon Calling festival every summer. The weekend’s acts (including De La Soul – I’d forgotten all about them!) will be housed in a big top and the on-site bar, sweetly called the Strongman’s Arms, will be hosting a series of quirky sessions including ‘The Art of Whipping’ and ‘How to Conquer Your Fear of Clowns’. I can see that they might appeal to some of MotivAction’s employees!! 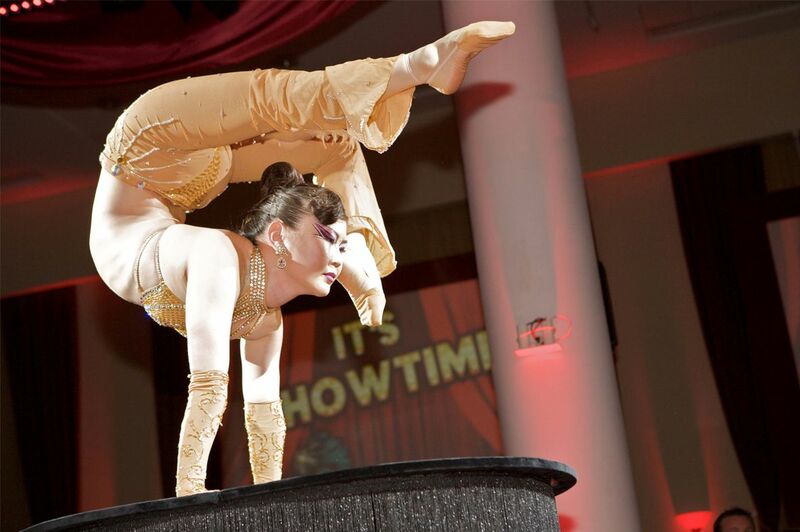 If Circus appeals then also check out London’s Southbank where the Wonderground Festival is now fully underway, with shows ranging from Canadian Lumberjacks to a traditional Parisian Burlesque knee’s up. There’s something for the clown or contortionist locked away in each of us. So, no matter what your stance is on clowns being funny or just plain creepy, it’s clear that the circus hasn’t lost its appeal. Now, where did I put my whip? 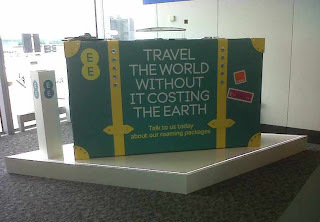 If you’re travelling through Stansted or Manchester airport on your summer holidays over the coming weeks you won’t fail to notice the rather large suitcase MotivAction has produced for EE’s latest roaming campaign. Our brand ambassadors are on hand to tell holiday makers about the fantastic roaming rates they can receive to make sure they’re in touch with family and friends whilst abroad. If you’ve got a brief sitting on your desk for a live marketing or brand experience campaign then feel free to share it with our lovely team of creatives at MotivAction. We’d love to help! Get in touch with Andy Cording: andy.cording@motivaction.co.uk or call 01920 458555 to find out more. We don’t know if you noticed but a rather large sports festival popped up in the East of London last summer. And it seems that it’s set to become a firm favourite with festival and sports organisers wishing to ‘pop-up’ an event. 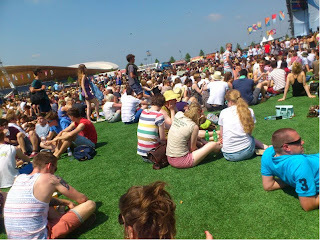 Harnessing the nation’s feel good factor following our Olympic glory, the park has already played host to an array of outdoor cultural events, ranging from the Open East Festival, the Wireless Festival and this summer’s hugely popular Anniversary Games. The sheer scale of these projects really does impress. Amid the on-going renovation works you’d never expect to find swing ball arenas, cultured catering, multiple stages and the largest chunk of astro turf you’ve ever seen! It’s no mean feat! So far, the immediate Olympic legacy has been most enjoyable, with the diverse nature of the Park’s Event calendar perhaps the most pleasant surprise. Yet, the best bit of the lot is the fact that this ‘Pop-Up’ perfect festival ground is wham bam in the middle of London’s east end bringing exciting arts programmes to the masses, a green playground which really shouldn’t be. Keep your eyes peeled for more thought provoking ‘Pop Ups’ as the trend continues to sweep the industry. If you’d like to hear about anything we have professionally‘popped up’ here at MotivAction, get in touch. “Play to win. Don’t play to play.” said the Managing Director of Varo Foods in amazement after first setting his eyes on the Westfield Stratford demonstration kitchen we had created for him. It may sound like an obvious statement but sometimes it can be hard to hand over the keys to your prized brand to an experiential agency and just let them ‘get on with’ creating a sampling event. It probably hadn't helped that we’d been planning the launch of his new Nigerian delicacy Moinmoin for nearly a year, discussing a range of different venues and events and having to cancel them as the product simply wasn't ready. Moinmoin is a dish served at Nigerian celebrations (known as Owambe) and family recipes are a closely guarded secret handed down from generation to generation. So it’s no surprise that Nigerians are very outspoken about what makes a good Moinmoin. You can see why no one had yet dared to package it as a convenience food - there was a lot at stake. Getting the recipe just right and waiting for the glacial manufacturing process to complete meant that the product sampling activity just got pushed further and further back. After all this time dealing with suppliers it was evident Varo Foods’ Managing Director hadn’t realised just how professional the live sampling activity could look. That’s precisely why he got MotivAction involved at the outset. We would take care of the whole process, ensuring our brand ambassadors were fully briefed, that Westfield Stratford’s demonstration kitchen was bright and vibrant and most importantly that his shiny new brand was properly represented throughout the whole weekend. No matter the client, brand or budget, MotivAction are there to win; not simply to play. And you know what? It all paid off. After trying our hot Moinmoin samples the Nigerian target audience couldn't believe Varo Foods had managed to create such a tasty product. During our three days at the demonstration kitchen we had sold hundreds of tins of Moinmoin, created tens of thousands of opportunities to see the brand and Varo Foods saw their social media activity increase three-fold. It looks as though Varo Foods’ Moinmoin has all the ingredients it needs to win! If you would like to know a little more about the sampling activity we created for Varo Foods please get in touch with me at ideas@motivaction.co.uk and I’ll happily send you a case study.